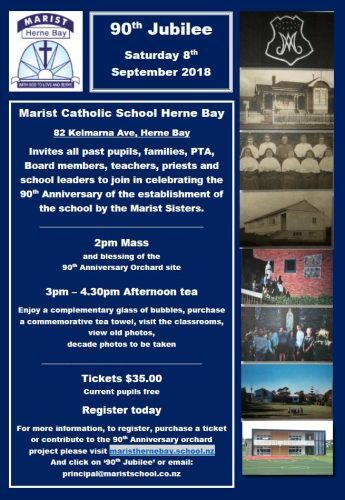 Thank you to all who came along to help us celebrate the 90th Jubilee of Marist Catholic School Herne Bay on Saturday 8th September. We had a beautiful day filled with laughter, old stories, and good company. 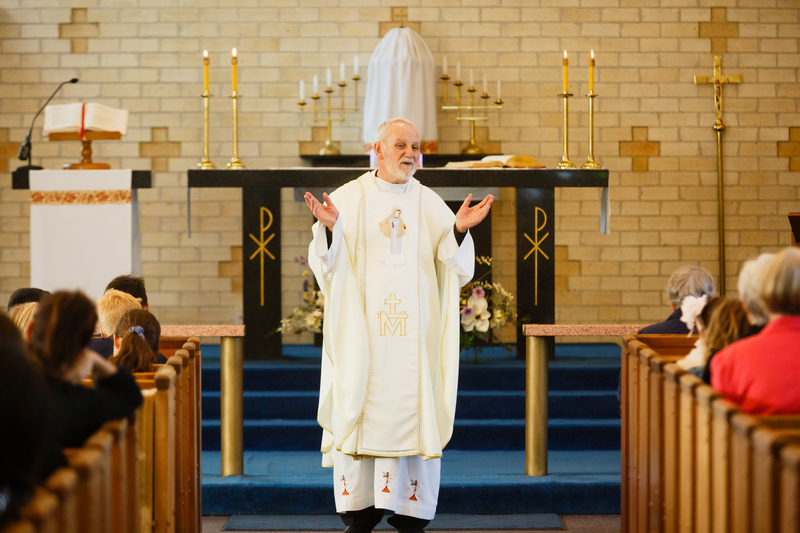 Bay 90 years ago – We gather here this afternoon to celebrate their foresight in providing Catholic Education under the banner of Mary here in Herne Bay. What better way to celebrate than on the 8th September, the day we remember and honour Mary’s birthday. The school started with a school roll of 9 on September 4th 1928, and has grown through to today where we are a school of over 210 and growing, Those gathered here this afternoon have had connections with the school over the years, whether as parent, pupil, PTA, Board member, teacher or staff. They say, once you are Marist, you are always Marist. Lets join in celebrating being Marist together. As mentioned in my introduction, Marist Catholic School Herne Bay was established on 4th September 1928 with a school roll of 9 students. 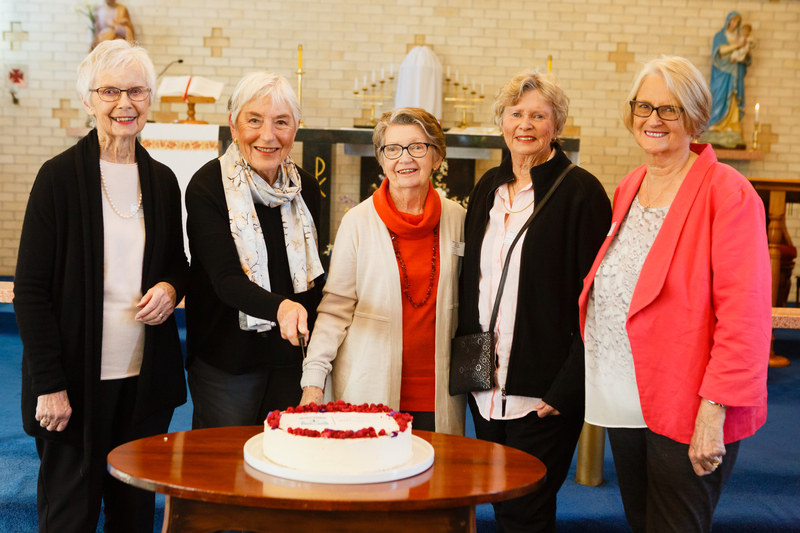 At the invitation of Bishop Cleary, Sisters Kostka and Austin accompanied by Mother Bernard took up residence at 26 Trinity St late in August and wasted no time in getting started – their roll grew from 9 to 30 by the end of their first year. The children would walk down the right-of-way through the convent at 26 Trinity St and through the corrugated iron fence into the school playground – the gap in the fence is still identifiable today. … we are fortunate to have past pupil Blake Herbert with us today whose father was a foundation pupil – pupil number 7 we believe! Our school connections go back through generations that’s for sure! The building where the administration and library is today is the original building which contained three classrooms with concertina walls, which when opened and removed of classroom furniture was used as a church. Sister Austin, one of the two foundation Sisters, recorded the generosity of their neighbour Mrs Clifton at no 24 Trinity St who supported the Sisters over the 25 years she lived next door with food, coal, wood, furniture, and unlimited use of her telephone whenever needed, doing many a dash from her home into the school or convent to call the sisters to the phone. She cleaned the church, opened it for Mass when the Sisters were away, took care of laundry and anything else that was required – I am sure she and her husband who also got stuck in were amply blessed for their service and support of the Marist Sisters as they established the school and got it up and running. The early years were punctuated by galas and fetes to raise money for essentials such as the convent piano. they say – once Marist, always Marist. Ngaire Chaplin (who is present with us today) wrote in a history book in 2005 which we have at school today, that in the 1940s when she was a pupil, trenches were dug on the eastern boundary bordering St Pauls College where air raid practices were held – this is the site of our new classroom block. It is lovely to have you here today Ngaire. In 1953 a new convent and boarding school for primary aged children was opened in what is now the Auckland Catholic Chinese Community building, behind us here, below the school. This convent remained in operation until 1975. When it closed the Marist Sisters still remained at the school. In the early 1960s, this church was built, meaning that the old church in the classroom block was no longer needed. The Sisters were very pleased as they used to have to move the school furniture out of the space and move the church pews in and then out again each weekend up in the old school. Their furniture removal days were over at the completion of this church. The Sisters moved out of the school to Te Atatu in 1981. We have Sister Margaret Cross with us today who is accompanied by Sr Karin; Sister Shirley (who was Sr Catherine when she worked here at Marist, both as a teacher and in the boarding house) and Sr Marie Therese who also worked at the school and in the boarding house. It is lovely to have you all with us to celebrate today. The school was integrated into the State system in 1983. Roll growth remained stable during this time. In 1995, with the closure of Vermont Street Catholic School, Marist opened its doors to accommodate ex Vermont Street pupils. In the same year, the school altered its Integration Agreement to allow for Year 7 and 8 boys and later girls of this age level too. Four new classrooms were opened in 2004. With the refurbishment of the hall, library, and offices completed in 2007. In 2011 the school re-altered its Integration Agreement, taking it back to a school that only accepted pupils from Year 1 to 6. In 2013 two additional classrooms were moved from Marist College onto our school site to accommodate roll growth, taking the school from 7 to 9 classroom spaces. The Ministry of Education approved further roll growth in 2014 thanks to the hard work of the Principal at the time, Robyn Pivac who is with us today – it is great that you are here Robyn – this allowed the school to take an additional 90 students, growing the roll from a maximum of 210 to a new maximum roll of 300. This began the process of planning a build to accommodate an additional 90 students. In January of 2018, we proudly opened our new innovative learning environments consisting of a two-story block housing the equivalent of 3 classes in each floor. Through this process, two of our old classrooms were removed from the site. We now have 12 classroom spaces and are ready to expand our roll over the next few years to reach it’s maximum of 300. Our afternoon tea this afternoon is going to be in our new innovative learning environments so you all can enjoy the fabulous spaces the MOE and Diocese built for us.h its maximum of 300. Following the cutting of our Jubilee cake here in church, you will all be invited to move up to the school where Fr Rory will bless the site where we plan to plant a 90th Jubilee Orchard. Your donations today will be gratefully accepted to get this underway. We will then have the opportunity to enjoy afternoon tea together, don’t forget to take your complimentary bubbles voucher with you when you move into Hub 2 for afternoon tea! There will be commemorative tea-towels on sale too. You will also have the chance to view the many old photos we have from years gone by – these are on display in a pair of classrooms beside where we are having afternoon tea. Today’s celebrations could not have come together so well without the help and support of a dedicated crew. The committee consisting of Melanie Arnould, Lucy O’Mahoney, Kiri Hannafin and Ida Dowling have done a fabulous job of organising today’s celebration. Kate Gillespie and her team have done a fantastic job of displaying the old photos we have from years gone by. Matt Klitscher has done us a great service by volunteering his time and skills as a photographer to capture today as well as taking decade photos while we have afternoon tea. These photos will be available on our website for all to enjoy, download and keep as you desire – thank you Matt for your generosity. 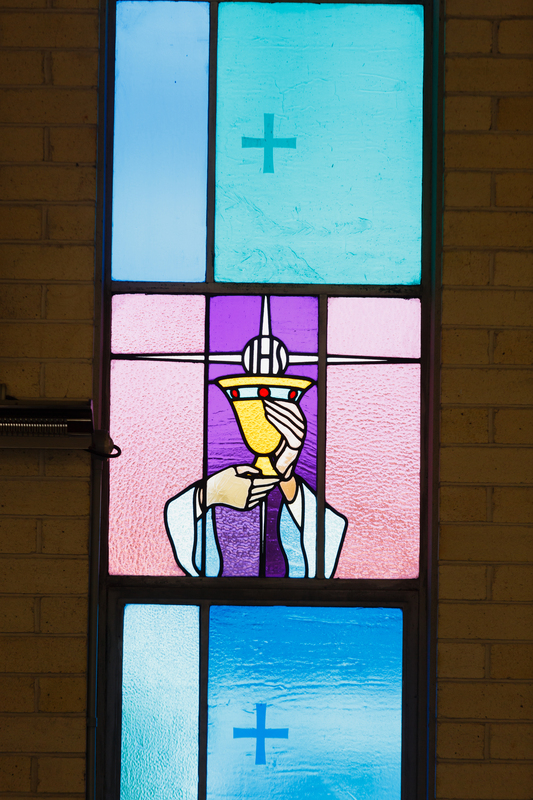 I would like to thank our DRS Mrs. Katherine Bartlett for preparing the Mass, members of our lovely choir who were able to make it today, our readers, altar servers and lovely liturgical dancers. Thanks also to the PTA for feeding the children this afternoon and to Kelly Club for providing entertainment for the children this afternoon too. 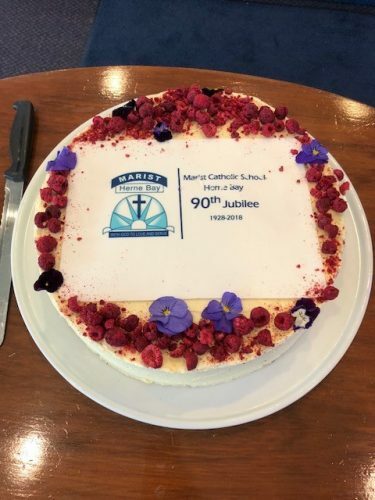 So, without further ado – I think we should cut the 90th Jubilee cake and then make our way up to the school for the next part of our celebration.